Apple doesn't make it easy for iPhones to interact with Android devices. Users can easily send photos from one iOS device to another using Apple's Airdrop, but sending photos from an iPhone to an Android phone has traditionally been a little more challenging. 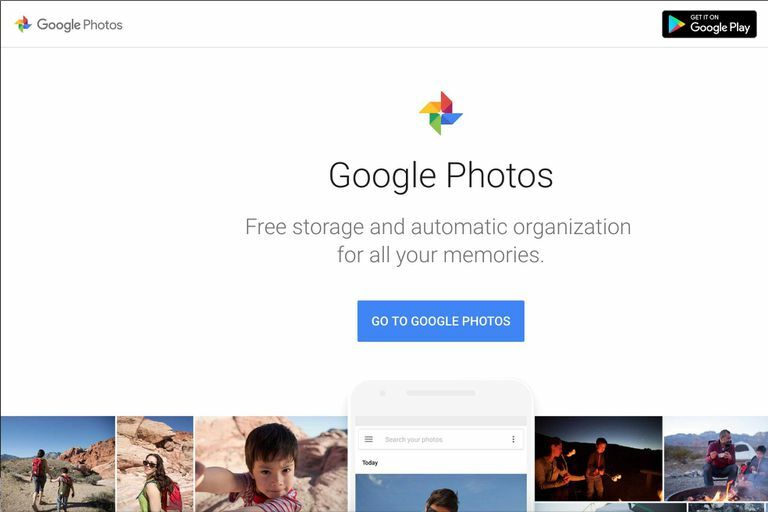 Luckily, Google has picked up where Apple left off with its Google Photos service. Google Photos isn't only compatible with iOS and Android devices, it also allows iPhone users to send images to Android users with just a Wi-Fi connection. Read on to learn how to transfer photos from iPhone to Android using Google Photos. Google Photos is now one of the easiest ways to share photos between devices, regardless of platform. If you're trying to move photos from an iOS device to an Android device and already have a Google Photos account, all you need to do is install the Google Photos app onto your iPhone, sign in, and make sure the backup settings are enabled. If it's your first time using the Google Photos app on your iPhone, open Google Photos and sign in with your Gmail/Google account. If you don't already have a Google account, you can quickly create one for free. You can also create an account from within the Google Photos app; just tap Create Account. Additionally, users have the option of creating a Google services account with an email address that isn't a Gmail address. To use a non-Gmail email address, users should register their account on a desktop. Tap Get Started, then OK when prompted to give Google Photos to access your photos. Tap Back up & sync if it's not already on. Usually, it will already be selected. Users also have the option to select Use cellular data to back up, but it's recommended to leave this option off and wait until a Wi-Fi connection is available to back up images on Google Photos to avoid eating up limited data bandwidth. If they want Google Photos notifications on or off. Once users select their preferences, Google Photos will automatically back up all images and videos from the iPhone to Google Photos. A complete backup can take between several minutes and several hours. It's recommended to leave the iPhone alone with the Google Photos app open for a faster back up time. Once the back up is complete, users can sign in to the same Google Photos account on an Android device and view all of the iPhone photos on the Android device. Users can then download and save photos from Google Photos to their Android smartphone storage. The images will always be available on Google Photos. Enjoy being able to easily share photos between iOS and Android. Users can transfer images from an iOS device to an Android device without backing up their entire image collection. Many iPhone users will use Airdrop to share a handful of photos with another iPhone user; with Google Photos, iOS users can send images to their Android friends in a similar fashion. Open Google Photos and select the photo(s) you wish to share. Tap the share icon at the bottom left corner of the screen. Tap the Google Photos account(s) you wish to share the photos with. Tap add a message to send a note with the image if you'd like, then tap send. The Android user will receive a notification on their device. They must open Google Photos and tap Sharing in the bottom right corner of the screen. On the resulting page, the Android user will see all of the images shared with them. They can tap the image you shared, then tap the cloud icon in the upper right corner of the screen to add the image to their personal Google Photos library. Google Photos users on iOS can create a Shared Album to share images with Android friends. Open Google Photos and tap the three-dot menu icon in the search bar. Tap Shared Album, choose the images you wish to include in the album, then tap Next. Once the album is created, users can give it a title and add a message. Tap Share, choose the Google Photos contacts you wish to share the album with, then tap Send. The Android user will receive an email inviting them to view the album. Once accepted, they can select the cloud icon to add images to their personal Google Photos library. Either the iOS user or the Android user can add more images to the album and send messages within the album. Enjoy sharing photos between iOS and Android. Google Photos also allows users to add a partner to their account. This partner will automatically receive certain photos based on how the user set up the account. Someone with an iPhone can set their Android user spouse, family member, or close friend as a partner account so they don't have to manually share photos or albums every single time. The iPhone user must first open Google Photos, then tap the three-bar icon in the search bar to bring up the Google Photos menu. Tap Add partner account, then tap Get started. The main user can give the partner access to All Photos or Photos of specific people. The second option will take users to a page that includes snapshots of all the people with photos in that Google Photos library. An iOS user may select their individual family members, for example, to send to their Android user sibling, who they're setting up as their account partner. Select Done to return to the previous settings page, then select Next. Select Send Invitation. Google Photos will ask for a security measure, such as the phone's password, pin, pattern, fingerprint, or iris to confirm the request. Once confirmed the Android user will receive a notification to accept the invitation. After accepting, they'll be able to see the shared library in their Google Photos menu. Selecting the shared library will bring up all the images in that library. When the iOS user takes photos that include any of the people they selected, the photos automatically show up in the Android user's partner library. The Android user can tap the cloud icon to add the images to their personal Google Photos library. If the iOS user selected All Photos, any photo they take will show up in their partner's library. To end the connection between the iPhone and Android device, go to the partner library on either device and tap the three-dot icon in the top right corner. Tap Settings, remove the partner, then confirm. The partners will be removed from both devices.